We cannot thank technology enough for making our lives easier, Can we? Especially when it comes to website building, all CMS and website builder save us so much trouble. And, one such problem solver is beaver builder. With its reusable modules, you can use the drag and drop features to easily build your website. Besides, we have the beaver builder add-ons and extensions, that can be integrated to add more features into this already feature rich builder. In this article, we’ll talk about beaver builder and it’s amazing add-ons that elevate the possibilities of what you can do with it. 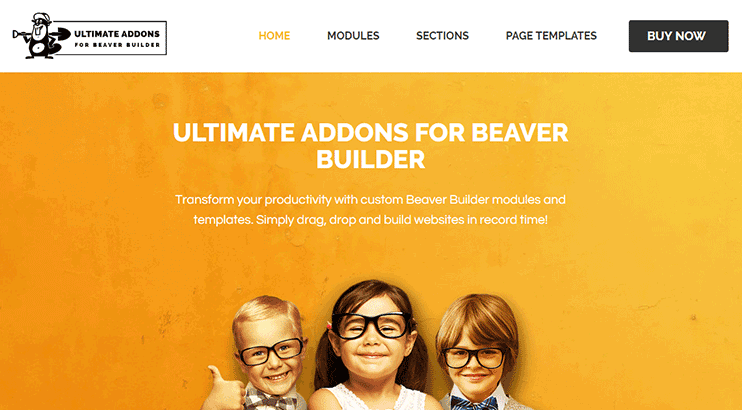 Create a WordPress website with ease by using the Ultimate add-ons for beaver builder. There are two versions of this plugin – free and premium. The free version comes with some interesting tools and modules. But the limitation is only on the number of features available, the lite version of the plugin is SEO friendly as well as performance optimized. The free options are very limited but they’re beautiful. For example, they allow an image separator, that is separating two rows, sections of the page using an image. See how it looks in the image below. Besides, there are a few well-formatted sections for your pages where you can display information about your business using beautiful lists. See the image below. Besides, you have a variety of different icons that you can use to make your site more interactive and expressive. There are also button choices you can choose from. The options here are mostly styling options. If what you want is reusable content modules like Banner options, contact forms, text styling, progress bars and tabs, then you should go for the premium version of the plugin. This is one of the extensions with many styling options like row styles, spacing manager, image separator, etc. Besides you have some of the basic text animations, icons, etc. The premium UABB is worth the buy, here are a few reasons why. It has much more to offer than the UABB lite version. This is an SEO friendly plugin that you can easily integrate into your website. This version of UABB comes with beautiful page templates, custom modules for beaver builder and some row templates. Ultimate add-ons for beaver builder is designed to work on WordPress multi sites also. UABB comes with professional support so you can take help from the experts for your website building. The plugin is designed to work with free/paid version of Beaver builder. This is the free version of the premium power pack for beaver builder. Power pack lite for beaver builder is an add on that you can integrate to add new features to beaver builder. With the lite version, you don’t get the reusable content modules or the page templates. The free version, lets you use certain design elements that you can use to make your website look better. The divider and spacers let you adjust the spacing between your content blocks. Besides, you can use the column effects, headings, buttons for effective CTA, font icons, etc. For instance – The Power Pack’s lite version has some cool buttons like the one you see in the image below. Besides these two, there are several others you can choose from. See more of the button variations available with powerpack lite Beaver builder addon. Also, the lite version has some eye catching contact forms. 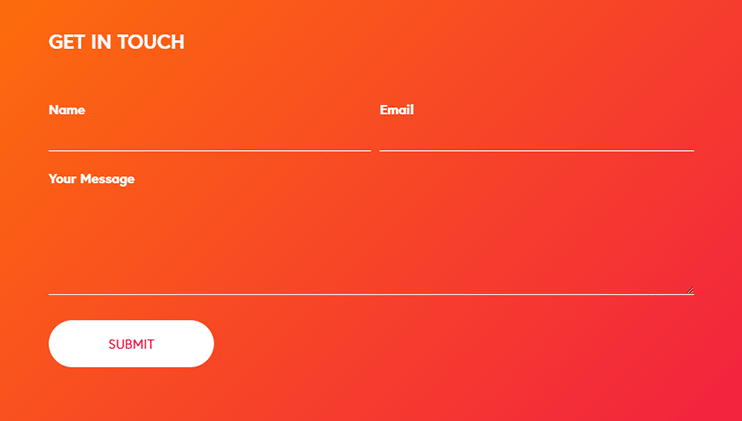 Here’s an example of a contact form with parallax background. Or you can opt for a full width simple contact form. Besides these, there are niche contact form designs. For instance – those designed for real estate, or a restaurant, etc. Contact forms are pretty much the same for every business. And the contact forms available with powerpack lite are good enough for any niche you can think of. Check out all the contact form variations here. 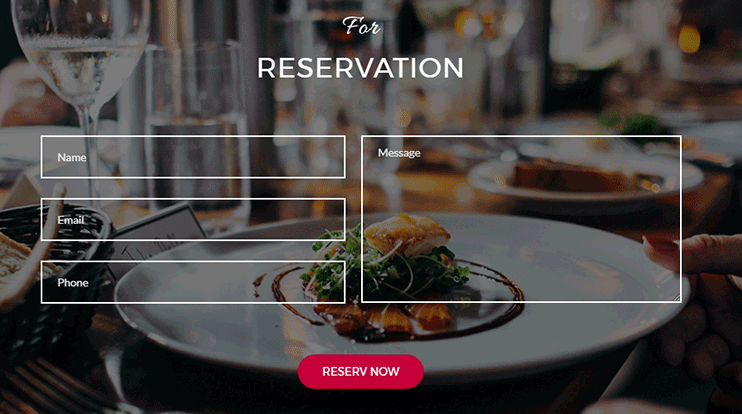 If you are creating a landing page with different sections, then you have these awesome row separators. Also, you can choose from the heading designs. 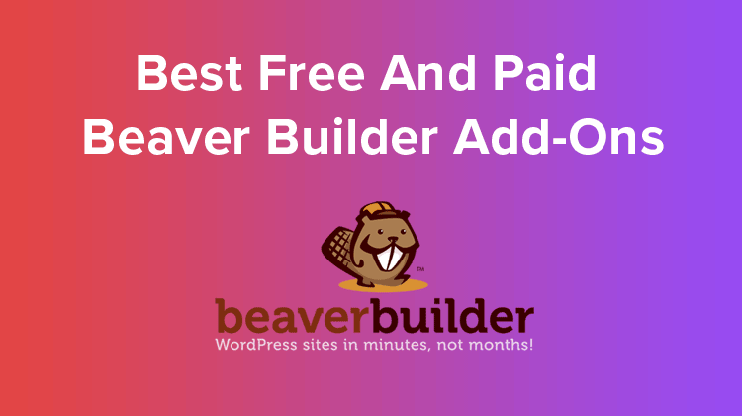 You should download and use this free add-on for Beaver builder if you want to have a few more option to format your pages. However, if you want to get more content modules as well as integrate ready to use page templates, you should get the licensed version. This plugin is designed to be fast as well as SEO friendly. Power pack for beaver builder is indeed a powerful plugin that helps make your beaver builder more futuristic. The power pack premium comes with pre designed page templates and reusable content modules. It supports multi-site and one click Preview. Moreover, once purchased, you can use this plugin on any of your websites. There are so many features and the prime attraction is the availability of useful modules that can help you build your site more easily. The beaver lodge plugin is a premium add-on for beaver builder. The plugin has some beautiful modules and options that you can use to design your WordPress website. To name a few – there are animated text module, WooCommerce sale module, WooCommerce featured module, login, news ticker, masonry layout module, countdown module, Google map module, etc. The beaverlodgehq plugin is priced at $39 and can be renewed at half the price of purchase. You can use this plugin for personal as well as commercial purposes. It can be used on any number of site. If you need gallery in any form on your WordPress website based on beaver builder, you should also have a look at Unitegallery. It lets you choose from among the different layouts for your images. Choose from the different sliders and gallery views to make your images appear beautifully on your website. Use this plugin for adding a hero banner section on your Beaver builder theme. Also, it allows you to set different images for banners on different pages. As the name suggests, this is a simple plugin that allows adding a header to your web pages. It is lightweight and easy to integrate and use. If you want to switch to full-width pages for your website, here’s an easy way. Use this Beaver builder add-on to do so. As the function of this Beaver builder extension is simple, it’s really easy to use. Just choose from the available options and you’re ready to go. This plugin even lets you go for a completely blank page, with no header and footer. If you want to generate a child theme for the customizations in your website then you can use this child theme generator. All you need to do is to fill up a very simple form and press a button. This will generate a downloadable file for your child theme that can be reused. And what more? It’s all FREE! The custom beaver builder modules come with some pre-designed and ready to use modules. They’re included in the free version of Custom beaver builder module. But what will you do if none of the available modules fit your requirements? This mainly happens when you have specific needs in your mind and you are sure about the features that you want in the module. This is when you would want someone to build a custom module for your beaver builder based website. The custom beaver builder prepares module helps create custom modules engineered for your needs and your website. It works with these simple steps. You request a custom module, they develop it for you, help you install and activate the add-on. They even provide the after sales support. Beaver builder has surely made lives easier by its easy drag and drop page building options. Moreover, we have these awesome extensions. So the options are many, and you can use them as per your requirements, to build a website of your dreams. Also, here’s the list of the resources (that includes hosting, add-ons, and many other tools) that the team behind beaver builder recommends.